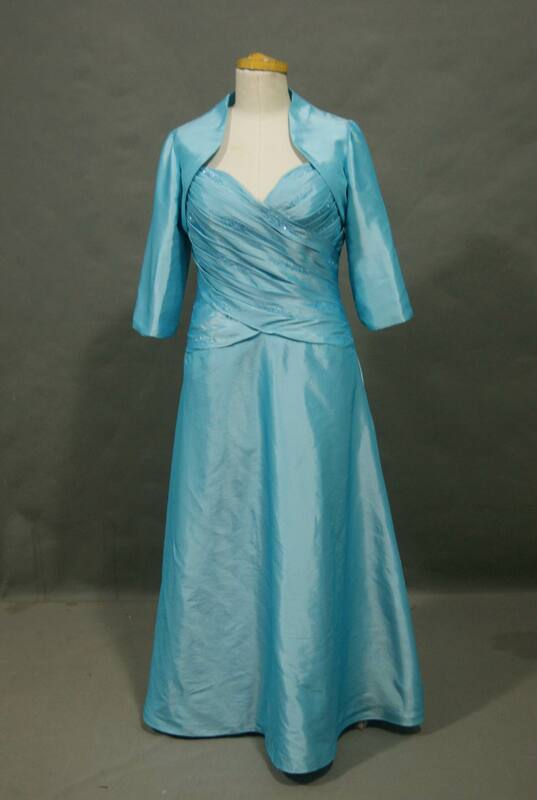 Silver mother of the bride dress with jacket. 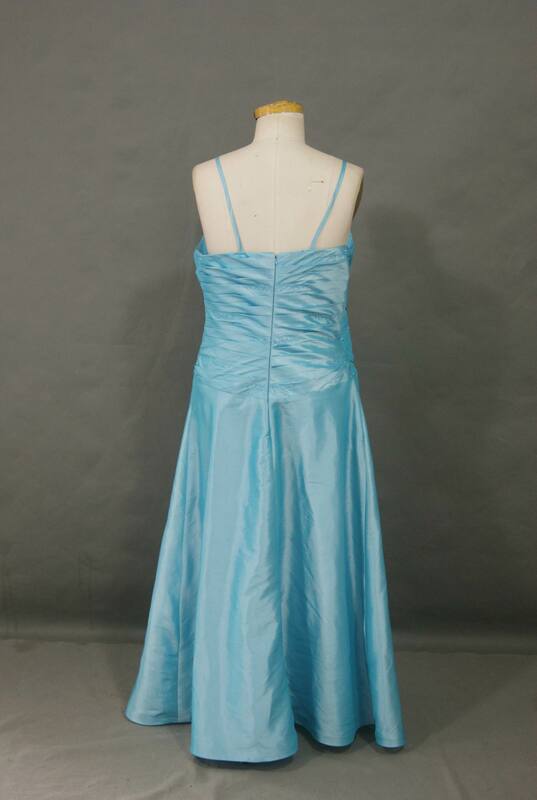 Taffeta sweetheart neckline gown with spaghetti straps. Front crisscross shirred bodice with beading. A-line skirt and matching 3/4 length sleeve jacket. Your mother of the bride dress will be ordered in Taffeta. Standard Mother of the Bride/Groom Dress Delivery: 8 Weeks.